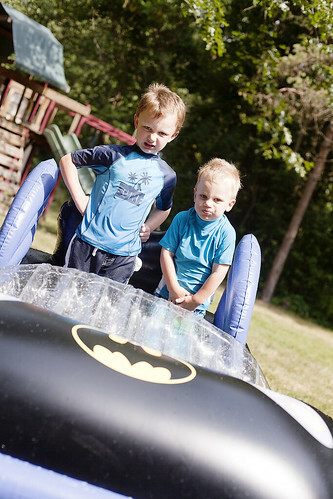 Jack got this batmobile pool for his birthday and was thrilled when we had a chance to take it out this morning. I told the boys to get in and strike their best "superhero post." I guess I should have been more specific with Ben . . .